New York, NY, December 18, 2015 – John Jay College’s J Journal: New Writing on Justice – a literary journal co-edited by English Professors Adam Berlin and Jeffrey Heiman – has been ranked 52 out of 245 publications featured in the 2016 Pushcart Prize Literary Magazine Rankings for Fiction, above several notable and long-standing journals. J Journal, founded by Berlin and Heiman in 2008, is published twice a year, targeting readers of literary journals and criminal justice professionals interested in creative writing. Contributors to the journal, sending work from across the nation and overseas, include new and established writers, lawyers, police officers, prison inmates, and professors in the social sciences and humanities. The well-regarded journal was also recognized in 2013 with the Pushcart Prize for Fiction for “The Fall of Punicea” by Paul Stapleton, a short story published in the journal’s Spring 2011 issue. It also received two Special Mentions in the 2011 Pushcart Anthology and has been reviewed and praised for its content by Library Journal, Utne Reader, The ReviewReview and New Pages. 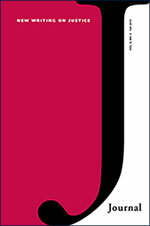 The sixteenth issue of J Journal is available now. For subscription information and submission guidelines, please visit www.jjournal.org or email the editors at jjournal@jjay.cuny.edu.